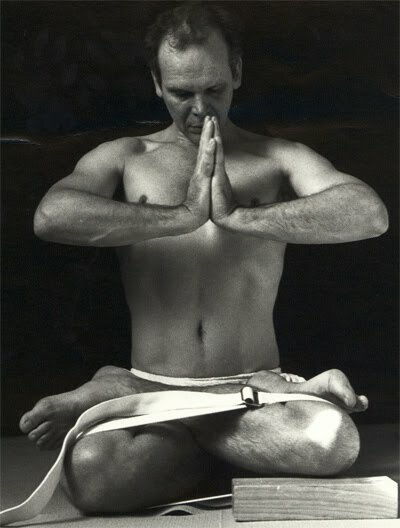 This program will prepare students for assessment for Introductory Certification in the Iyengar tradition. Initial assessment would be at Introductory Level 1. This requires a minimum of 120 hours of training. Introductory Level 1 however is not a certificated level. Certification occurs only after Introductory Level 2 has been achieved. Introductory level 1 however is a precursor to Intro Level 2 assessment which requires a minimum of 200 hours and 2 years of training. This course (see below) offers a total of 174 hours plus assisting hours and with the Bali retreat at the end of 2012 will meet course requirements for both Intro 1 and Intro 2 assessment. However the initial aim will be to sit Intro 1 assessment by the end of 2012. Those successful at this level will then be able to sit for Intro level 2 once 2 years of training has been achieved. Peter will be running this program in conjunction with the Teacher Development program for recently certified Introductory teachers in their upgrading to Junior Intermediate. The program will be exclusive to teachers and training teachers. Broadly it will be practical in its orientation with intensive work in asana and pranayam practice and in practical teaching role plays and practice sessions. The work in the modules must be supported by a committed practice between units. This is absolutely essential. Indeed without that, there can be no success in any authentic sense, regardless of any assessment outcome. The work will be intensive and personally demanding. Fundamentally yoga is a “training” which instills in us more “healthy” responses. At the core of it therefore is “sadhana” or practice. This practical work will form the “hub” of the training and the essential skills of a teacher are built through it. Around that there will also be background work with yoga philosophy and traditions and a basic understanding of anatomy and physiology. This will be supported by assigned readings and study. Total hours in each of these units or modules is 29. The total over 6 units is therefore 174. The optional module from 3 to 11 November will be a retreat situation most probably in Bali over the course of 7 days. Fees: $4200.00 paid in 6 parts of $700 each prior to each module, or $3800.00 paid prior to 31 July 2011. This excludes the fees for the optional (Bali) module. Please note that there are no partial attendance, and all 6 modules needs to be attended.